There are many different types of pillows available on the market. This includes pillows designed for enhanced support, and snoring pillows and those made to increase comfort levels. The My Pillow has captured the attention of many people who are looking for ways to get a better night’s sleep. Touted as the ‘most comfortable pillow you’ll ever own’, this pillow has gained a lot of popularity. It is also available from several different distributors, including Amazon and can be purchased directly from the manufacturer. If you are considering purchasing this pillow from Amazon.com, there are a number of factors you should take into consideration. Looking at the pros and cons of buying this product from the online giant will enable you to make a more informed decision. Many different sellers offer the My Pillow for sale on Amazon. Speedier shipping: When you order through Amazon.com, you can opt for Amazon Prime. This means you will receive your My Pillow far quicker than if you order from the manufacturer. Prime also means you get to benefit from free delivery of your purchase. Verified reviews: Buying through Amazon.com enables you to benefit from access to a large number of verified reviews from other customers. These are far more authentic than reviews you will see on the manufacturer’s website or on promotional advertisements. A choice of new or used: You also have the option of buying a new or used pillow when you purchase your My Pillow from Amazon. You can, therefore, save money by opting for a used one compared to buying new. 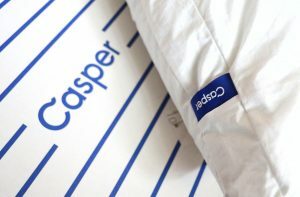 Great choice: Purchasing the My Pillow from Amazon.com gives you plenty of choice with regards to the seller you choose. You will find a range of sellers offering deals on the product. You can select the one that provides the best value for money. The authenticity of the pillow: There are many different types of sellers on Amazon.com. This does mean more choice, but it also makes it harder to determine the authenticity of the product. You won’t know for certain whether the pillow you buy is a genuine My Pillow. Higher prices: The cost of a new My Pillow on Amazon.com can be very high. You may find that the price is around $20 more compared to purchasing from other retailers such as Wal-Mart or Target. You can even get better deals buying your My Pillow direct from the manufacturer. Different return policy: If you buy your My Pillow directly from the manufacturer, you benefit from a 90-day return policy (they must receive the pillow within 60 days of receipt of purchase and they take up to 30 days to process reimbursement). If you purchase from a seller on Amazon.com, the return policy may be much shorter. In addition, there is an increased risk of your return being rejected for various reasons. Limited customer service: The customer service you receive from Amazon sellers is very limited compared to the service from the manufacturer. By purchasing direct, you can contact the manufacturer anytime for help and support. It can be a challenge to work out where to buy your My Pillow. It is worth looking at some key factors you should consider when deciding where to make your purchase. Look at is the price of the product. Despite selling the same pillow, retailers and sellers may charge varying prices. Some can be far higher than others, so make sure you compare the price when making your decision. Another consideration is the reputation of the seller. If you purchase this product from the manufacturer or a reputable retailer, you can rest assured you are getting the real deal. If you buy from an unknown seller through Amazon, you will have no idea about their reputation – or even if the product is genuine. Finally, look at factors such as how easy it will be to get support and what the return policy is like. Checking these details will enable you to enjoy greater peace of mind when you make your purchase. Finding the right place from which to purchase your My Pillow means you can benefit from greater affordability as well as reassurance. You will have the peace of mind you are buying the genuine product. You can also avoid paying over the odds for your My Pillow.